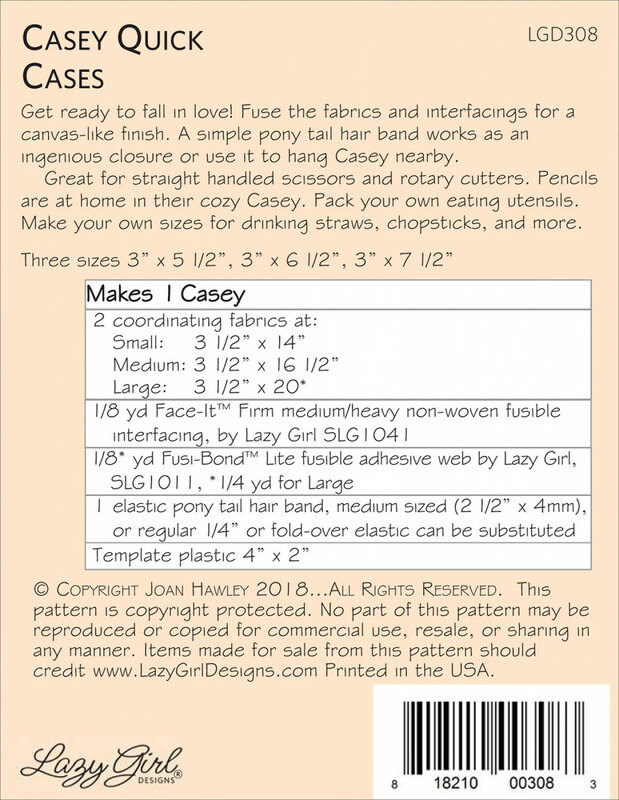 Casey Quick Cases sewing pattern from Lazy Girl Designs -Get ready to fall in love! Fuse the fabrics and interfacings for a canvas-like finish. A simple pony tail hair band works as an ingenious closure or use it to hang Casey nearby. Great for straight handled scissors and rotary cutters. Pencils are at home in their cozy Casey. Pack your own eating utensils. 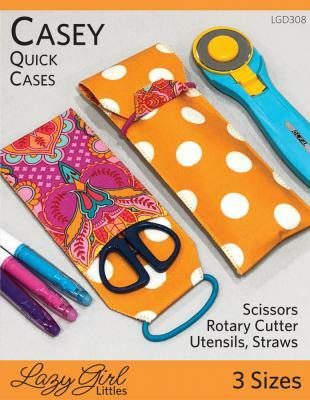 Make your own sizes for drinking straws, chopsticks, and more. Three sizes 3in x 5 1/2in, 3in x 6 1/2in, 3in x 7 1/2in are included in this pattern. Required materials include Face-It Firm, Fusi-Bond, Template material. Click pattern back image for a complete list of required materials. Click here to view Lazy Girl Interfacings for this project.